Never been to Las Vegas? What&apos;s kept you? Never mind - let&apos;s stop talking, and start doing! YouTube star Hey Nadine gives you a little taste of what to expect on your maiden voyage to the Entertainment Capital of the World in her video showing iconic landmarks and must-see experiences like the Fountains at Bellagio, Welcome to Las Vegas Sign, a gondola ride at The Grand Canal Shoppes at The Venetian / The Palazzo, the High Roller observation wheel and more. But that&apos;s just the beginning. 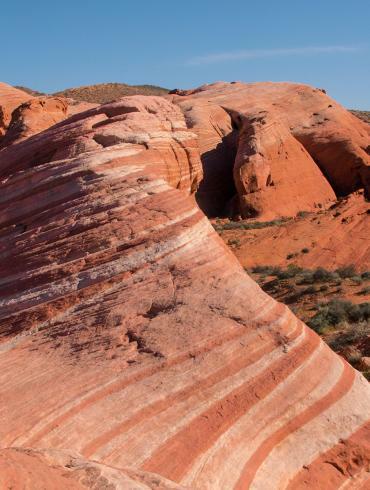 Here&apos;s our list of must-do Las Vegas activities for every first time guest. First up - people watching. It may sound mundane, but with the cross-section of visitors and celebrities who come to Las Vegas, it&apos;s usually primetime entertainment. There are several terrific vantage points on the Strip, including Mon Ami Gabi at Paris Las Vegas, a French bistro with the bonus of being directly across the street from the famous Bellagio fountains. Elevated viewing with outdoor dining is always popular at Planet Hollywood - both at Cabo Wabo Cantina and PBR Rock Bar. Cruising the Strip is required for any first-timer, by car or by foot, and since we&apos;re on the Strip, now&apos;s a good time to start. As you cruise, check out the enormous digital marquees for amazing shows you&apos;ll only find in Las Vegas. There&apos;s LOVE by Cirque du Soleil at The Mirage, Tournament of Kings at Excalibur and Le Rêve - The Dream at Wynn Las Vegas. The people back home will expect you to see at least one of them. Check out legendary magic duo Penn & Teller at the Rio Hotel for a one-of-a-kind Las Vegas experience. Be sure to get out and have a little fun exploring, too. Stroll through the open-air street party that is Carnaval Court at Harrah&apos;s, or let out a few screams riding the roller coaster at New York-New York. The new LINQ entertainment and shopping street meanders between the LINQ Hotel and Casino and Flamingo Hotel. With new restaurants, shops and performance venues, this family-friendly destination will soon be home to the High-Roller Observation Wheel. There&apos;s so much to do in Las Vegas besides gaming, but if this is your first time in town, you almost have to play a little. Many hotels offer free lessons for novices - the Golden Nugget among them. While you&apos;re downtown, check out the assortment of restaurants and bars that make up the Fremont East District and the new Container Park, made entirely of shipping containers; and be sure to drop by the historic El Cortez and the all-new elegant Downtown Grand hotel. Hungry yet? Las Vegas used to only be famous for buffets. Nowadays, you can also enjoy the culinary creations of any number of celebrity chefs; but as a first-timer, a buffet is in order. The Bayside Buffet at Mandalay Bay features a diverse selection of tastes, with sweeping views of a tropical water garden. Celebrated for its expansive selection of gourmet offerings, the Bacchanal Buffet at Caesars Palace will leave everyone at the table wanting more. Looking for adventure? We&apos;ve got you covered; whether you like thrills by air, land or sea. Start with the SkyJump at the Stratosphere. At 108 stories, it&apos;s the longest controlled free fall of its kind. Soon, you&apos;ll be able to experience Slotzilla - a spectacular high-flyin&apos; attraction where you get hooked to a harness and zip line right over the crowds on Fremont Street and under the giant video canopy. Not daring enough? How about swimming with the sharks at the Shark Reef Aquarium at Mandalay Bay? 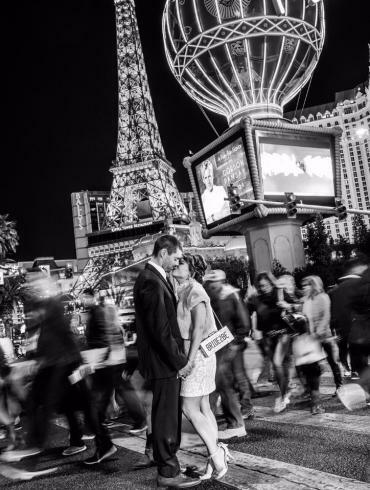 Las Vegas is the birthplace of many legendary excursions - from Swingers to The Hangover. Who knows? You could be the next to leave your mark on Las Vegas.